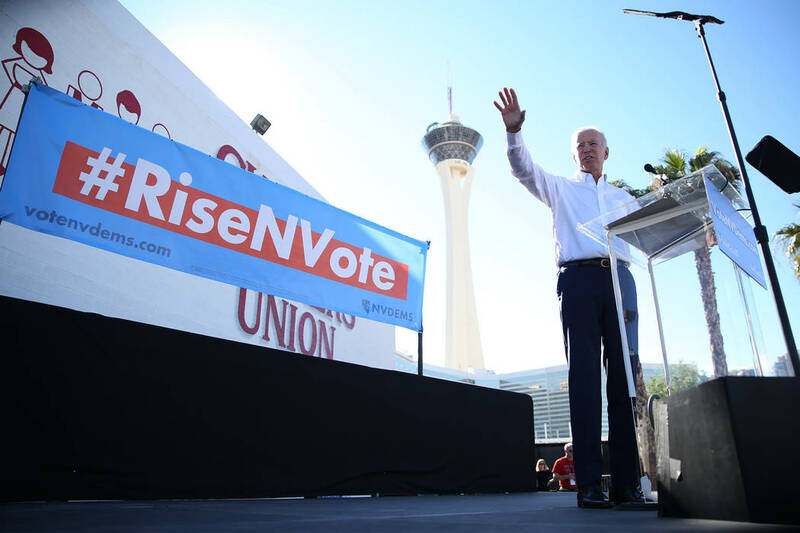 In between the blaring trumpets from a mariachi band and chants from union workers, former Vice President Joe Biden took the stage in Las Vegas Saturday to fire up voters on the first day Nevadans can cast ballots for the Nov. 6 election. 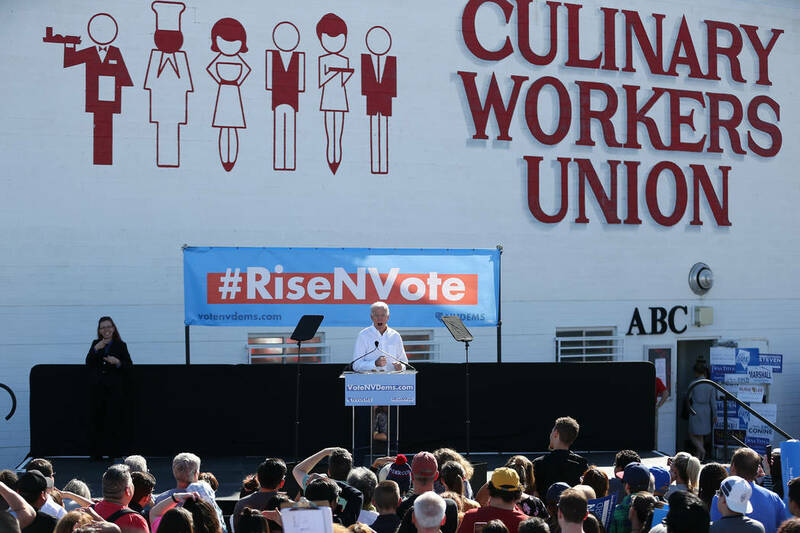 Former Vice President Joe Biden speaks at the #RiseNVote rally to get voters to vote early. 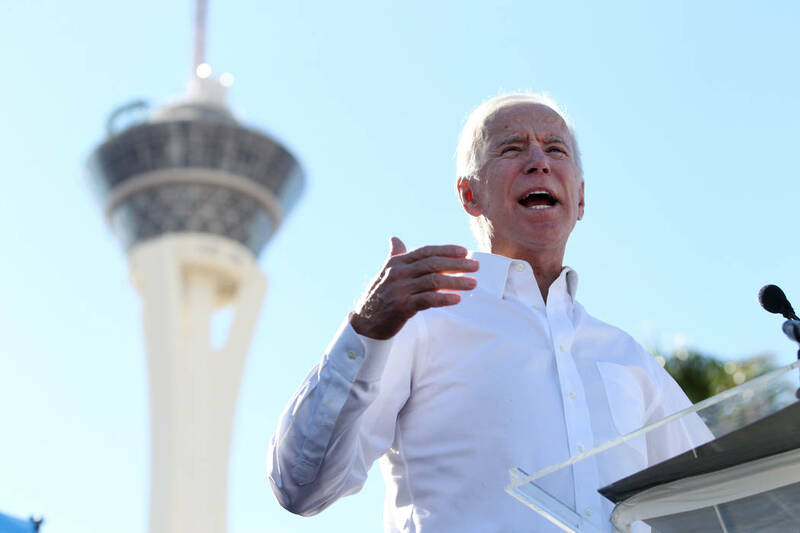 In between the blaring trumpets from a mariachi band and chants from union workers, former Vice President Joe Biden took the stage Saturday in Las Vegas to fire up voters on the first day Nevadans could cast ballots for the Nov. 6 election. 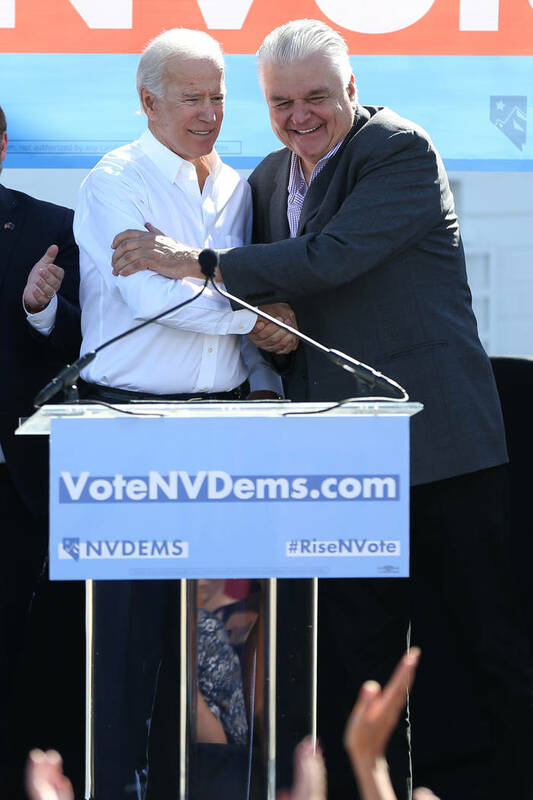 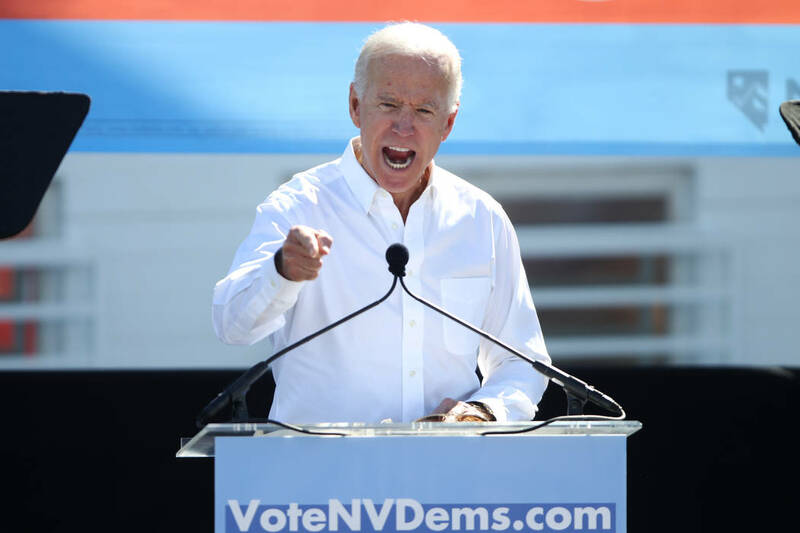 Biden said electing a slate of Nevada Democrats to Congress, which could shift power from Republicans, will be critical in holding President Donald Trump accountable. 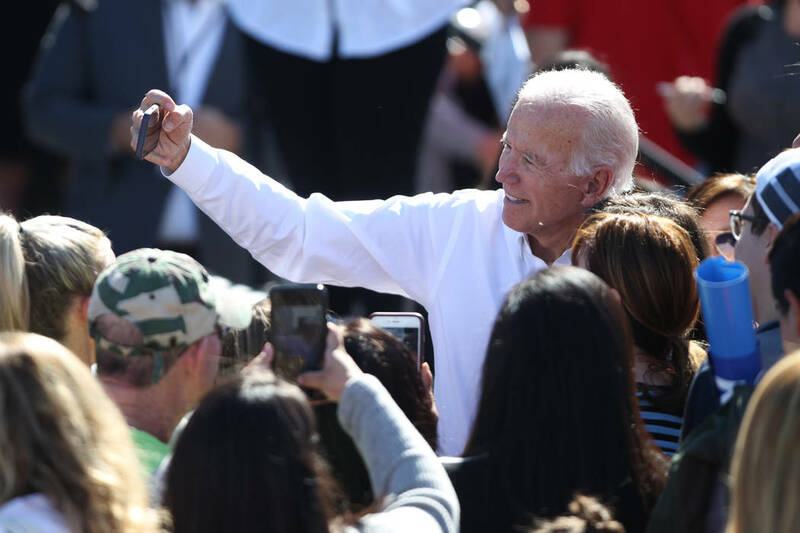 Trump is undermining America’s reputation worldwide, Biden said, and “shredding” the country’s basic fundamental of decency. 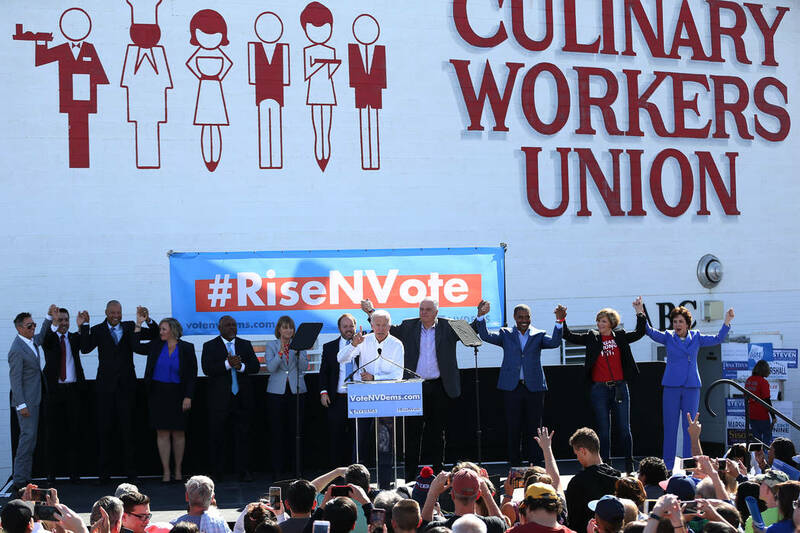 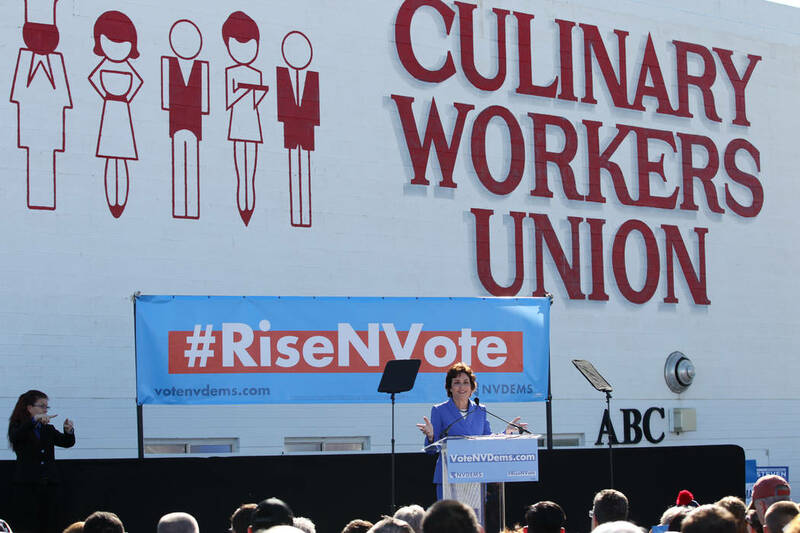 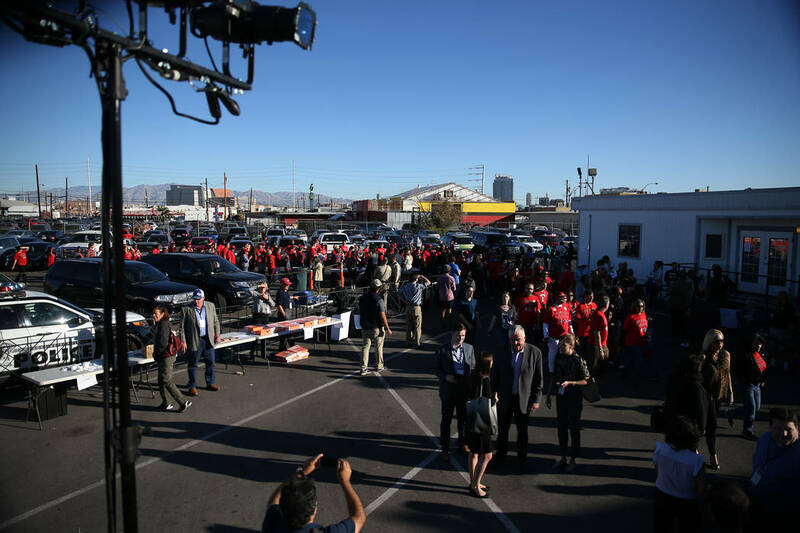 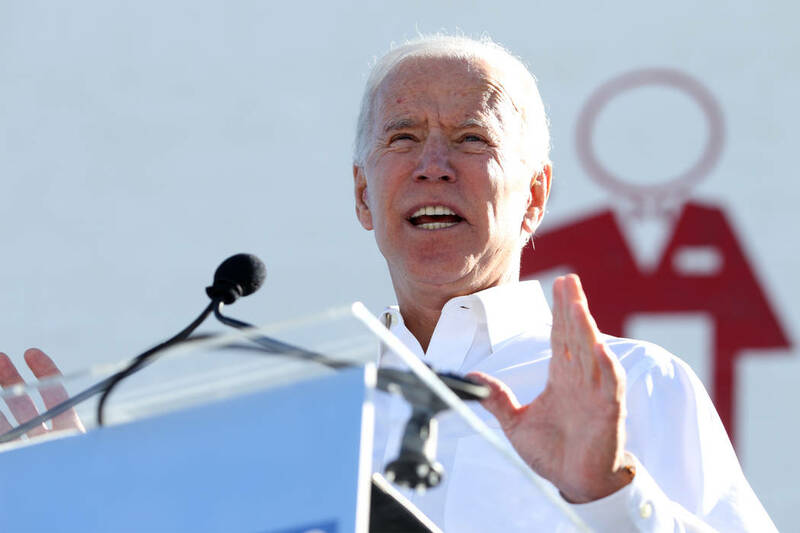 Biden, expected to be a 2020 presidential candidate, told the crowd at the Culinary Union’s headquarters that Washington Republicans are choosing their party over their country. 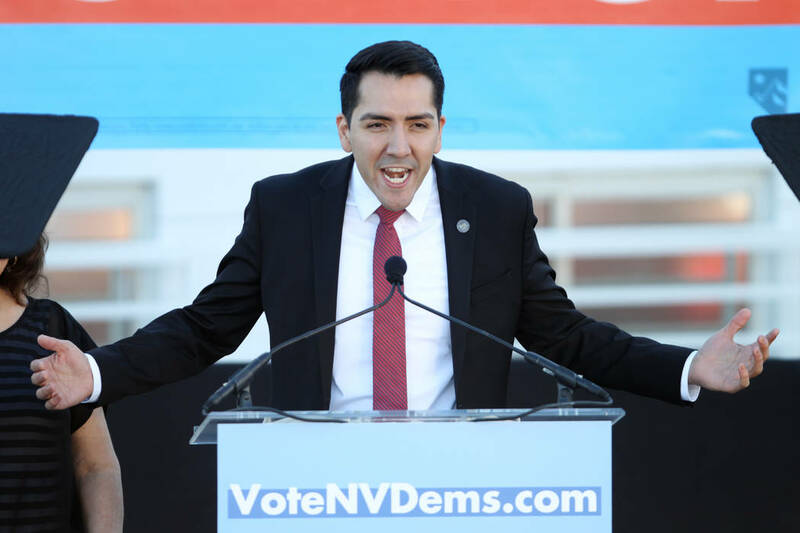 Nevada has several races that could play into which party controls Congress. 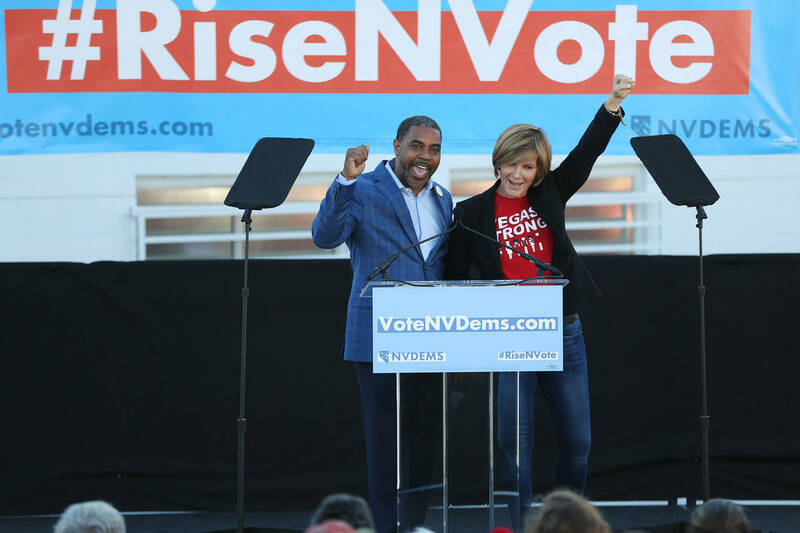 Democratic Rep. Jacky Rosen is hoping to replace GOP Sen. Dean Heller, and Steven Horsford and Susie Lee are vying for open House seats. 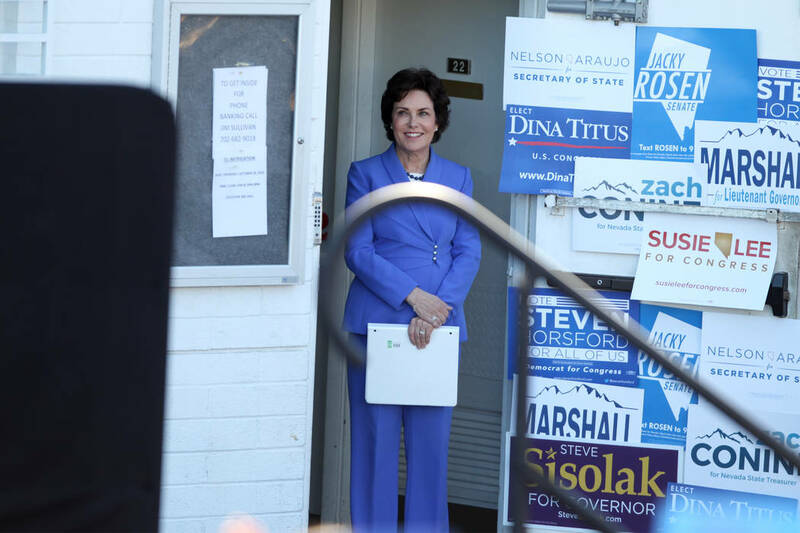 Kristin von Hahn and her husband, Douglas Coutts, traveled from Washington to campaign for Rosen. 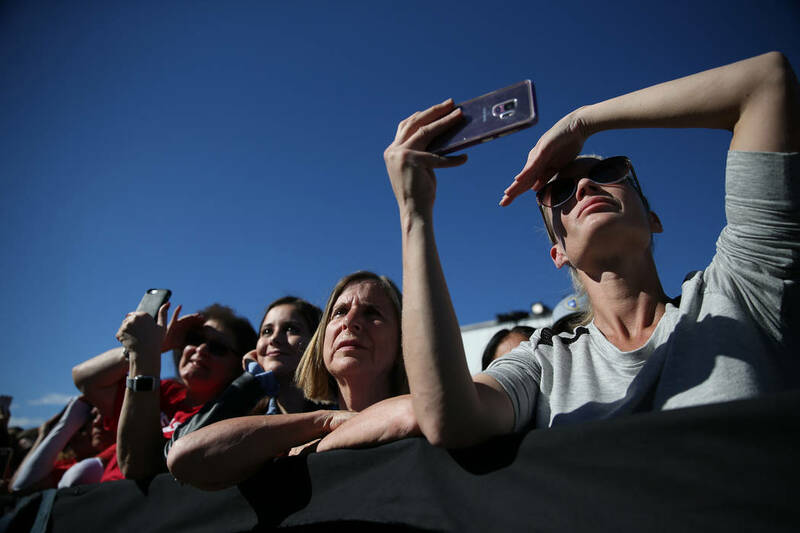 They’ve knocked on 200 doors, even though she’s a Canadian citizen and can’t vote in the United States. 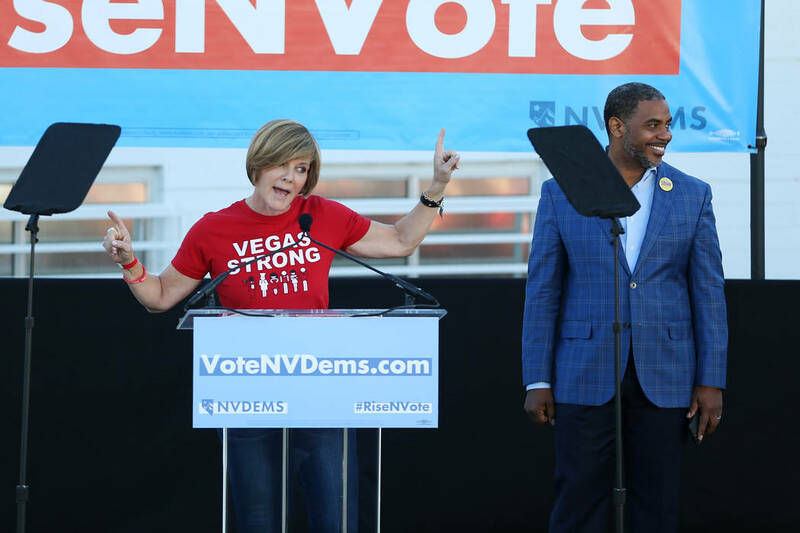 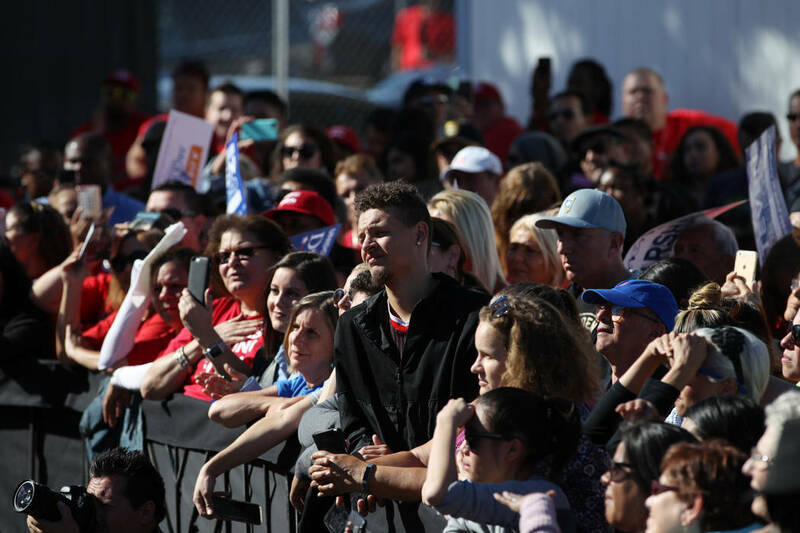 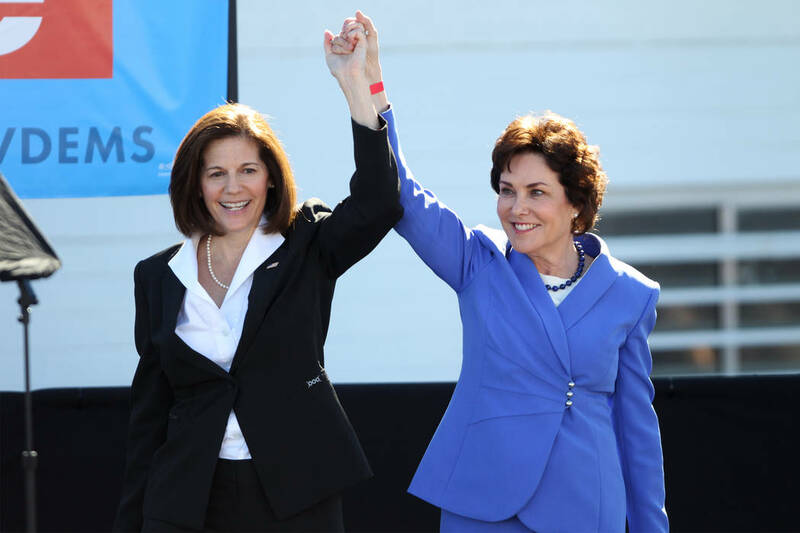 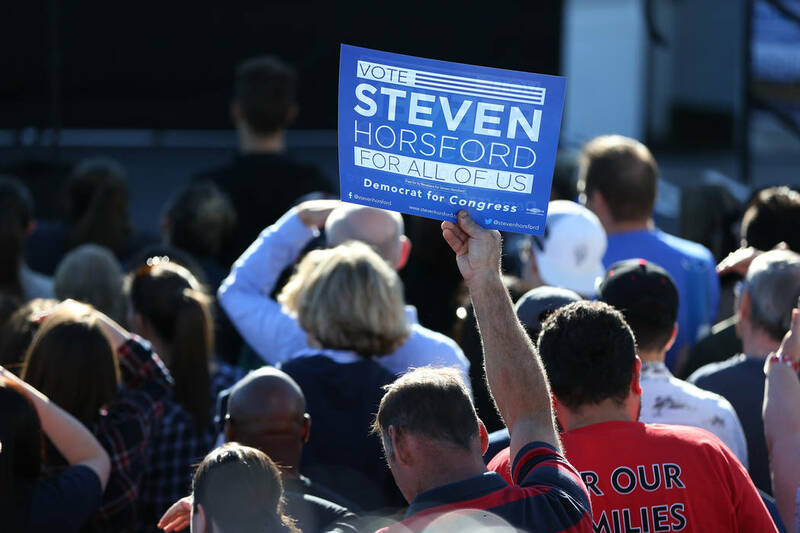 In addition to Rosen, Horsford and Lee, candidates at the rally included U.S. Sen. Catherine Cortez Masto, governor candidate Steve Sisolak, secretary of state candidate Nelson Araujo, treasurer Zach Conine and lieutenant governor candidate Kate Marshall. 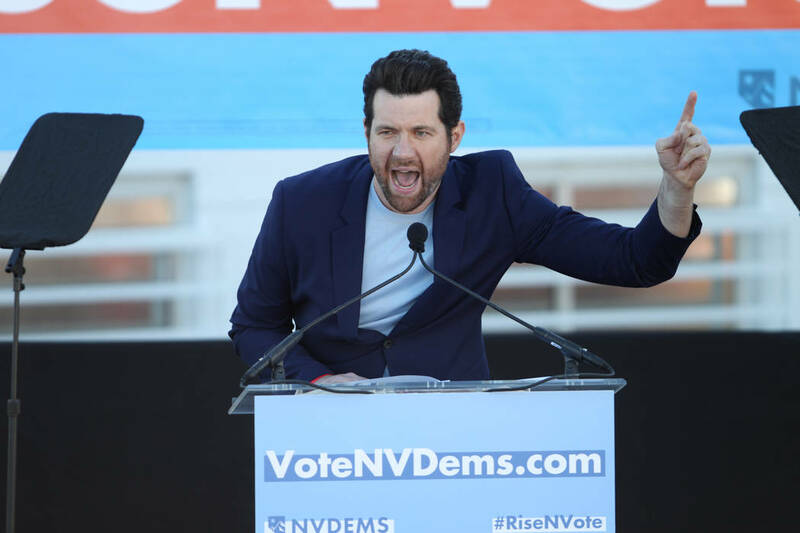 Comedian Billy Eichner, who has campaigned around the country in an effort to turn out young voters, cracked jokes while delivering a serious message: Millennials have a lower turnout rate than any generation of young people before them. 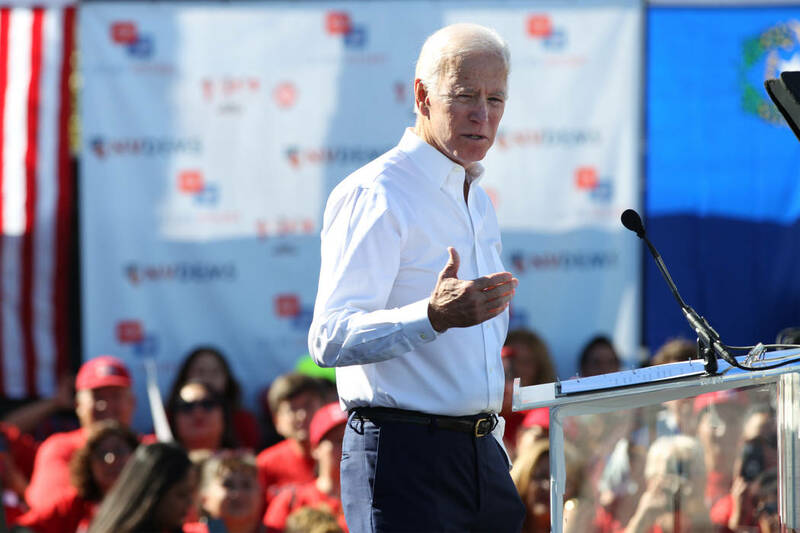 Biden said Republicans are attacking health care because “that’s where the money is” and that the GOP tax plan adds $1.8 trillion to the national debt. 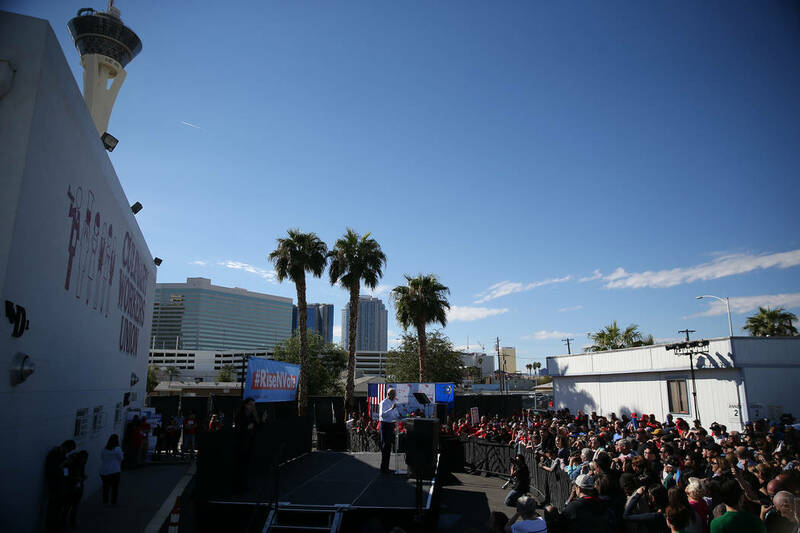 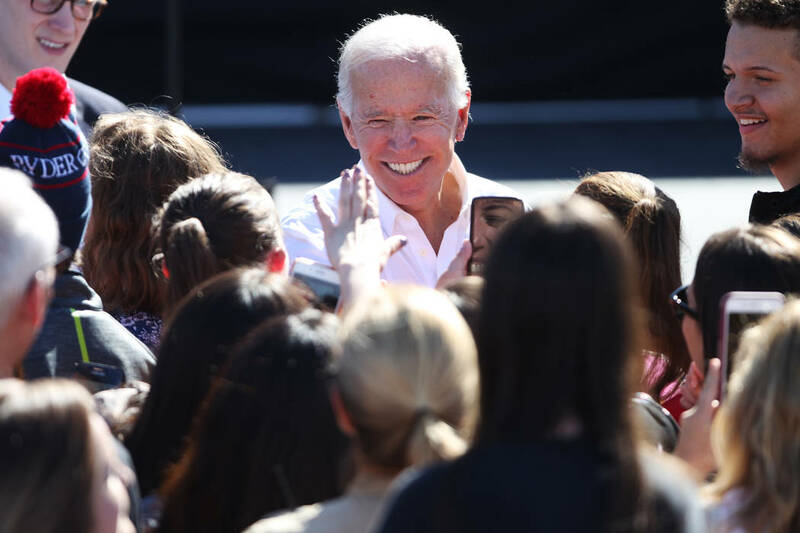 The Republican National Committee scoffed at Biden’s claims and downplayed the effect his presence in Las Vegas will have on voters in Nevada. 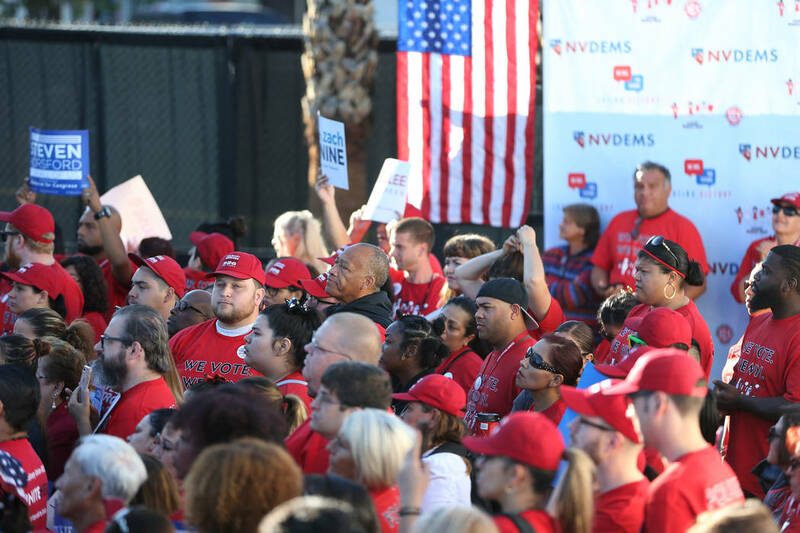 Retired bartender Jim Vignale, 70, said he’s most concerned about Trump’s anti-immigrant rhetoric. 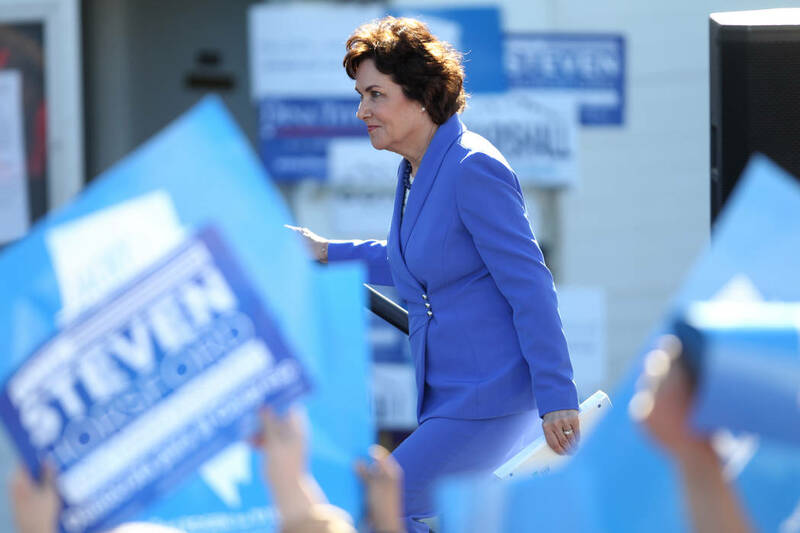 Vignale attended 20 political rallies with his wife of 44 years — before she died in February. 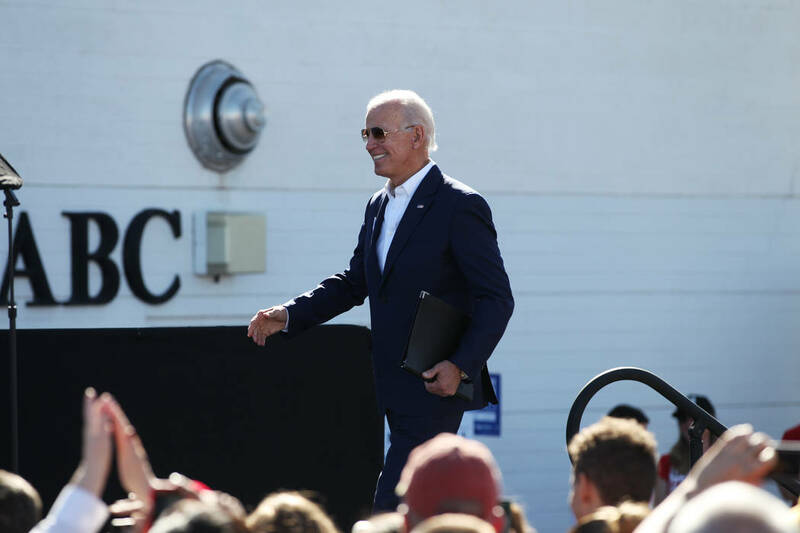 The Biden rally Saturday was the first without her.